What is heat treatment of metal? Heat treatment of metal is one of the major metalworking processes in the industry. 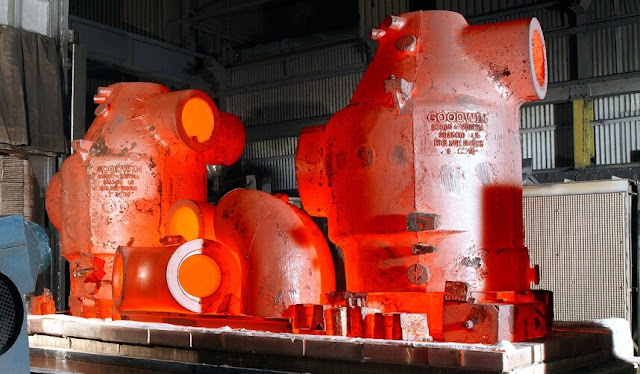 The Heat treatment of steel is defined as the combination of the process which involves heating and cooling of metal or alloy in its solid state. The main purpose heat treatment is that to alter some physical and mechanical properties and obtain the desirable conditions without any change in chemical composition. Heat treatment is one of the main operations in the final fabrication process of many engineering components. The process of heating and cooling also occur incidentally during the manufacturing process such as welding, brazing, hot forming etc. All metals can be subjected to heat treatment but their thermal cycle may differ from one metal to another. Heat treatment has a significant impact on the properties of steel. Heat treatment is also used in many other nonmetallic materials like glass. To provide better qualities of metal, wear, corrosion and heat resistant metal. Manipulate the microstructure of metal crystallite and refine grain size. Relieve stresses set up inside the component during hot or cold working, brazing, casting, forging etc. Homogenize microstructure and remove coring. Increase hardness and tensile strength of the metal. To improve the electrical and magnetic properties of the metal.